Energy healing is an ancient art of healing known by many names and practiced by many cultures. Some of the more common energy healing practiced today are the laying of hands, Pranic, Reiki , EFT, Acupuncture, Spiritual Healing or Qigong to name a few. 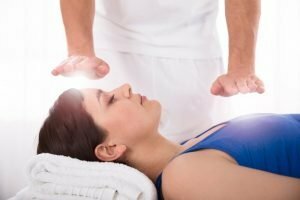 The energy healing therapy is a combination of Pranic, Reiki, Spiritual healing marry intuitively with flower essence and crystal elixir providing an energetic healing to the mind-body system, on the understanding that everything is energy. Sound Therapy is an option to integrate at the end of a therapy to re-balance the Qi or Energy flow of the body's meridian system, chakra centres and auric field. The body is powered by a system of processes fed by spiritual energy or vital force, the mind generates energy with every thought, the emotions is a magnetic force attracting and transmitting energy. The quality of these energies determines our whole well-being, physically, emotionally, mentally and spiritually. Energies is the creator of everything we experience in life. When these energies are negative they undermine the whole system of well-being. A negative thought generates a negative energy drawing to it a negative emotion creating a force field that physicalises the nature of that energy as experienced. When this becomes a habitual behavior it can affect many systems that support your well-being. The fact that everything is energy has now been proven scientifically by specific field of science such as Quantum Physics and Neuroscience. During a consultation we gather information from you to better understand your world and what you are a seeking in the healing. The healing normally requires you to lie down on a massage table fully clothe and relax while your therapist scans your energy body and works with clearing and revitilising the energy body that supports all functions and well-being of your system. The therapist works with energy that is all around us known as Chi, Prana or spiritual energy drawing this life force into the body to energise or clear energy blocks she intuitively feels as she scans and touches various part of the body. Flower Essence and crystal elixirs are laid on or around the body to add another layer of healing. 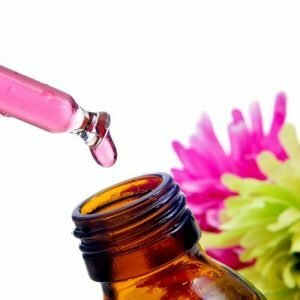 Generally Flower Essence rebalances psychological or emotional blockages creating a release of energy in the body that is mirroring the effect of these negative energies. Crystals and their elixirs release block energies and clear the flow of the meridian and chakra systems, at the cellular level and auric body. The use of these ancient natural medicines during a therapy deepens the healing process providing insights and greater awareness to the multi-layers of issues and causes impacting your life. It is normal for people to feel the release of emotions and pains or receive insights that are healing and transformative in nature. 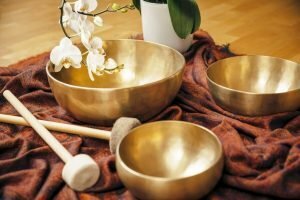 Body Balance incorporates the use of the high frequency of Chimes and the Peter Hess Singing Bowls to re-attune the energy centres and the whole body's vibration. These instruments are played on or around the body to re-celebrate its frequency. Sound helps to facilitate shifts in the brainwave state using entrainment. Entrainment synchronizes the fluctuating brainwaves by providing a stable frequency which the brainwave can attune to. By using rhythm and frequency, we can entrain our brainwaves and it then becomes possible to down-shift our normal beta state (normal waking consciousness) to alpha (relaxed consciousness), and even reach theta (meditative state) and delta (sleep; where internal healing can occur). Generally people experience various degree of calm, peace, relaxation, reduction or release of anxiety, fear, worry or emotional and psychological issues. These have a natural flow on effect in calming and healing the body that is directly affected by all these conditions. It is advisable that you plan a less active day when you book an energy therapy as these treatments continue to affect healing for some throughout the day and others over a period of days. This will allow you to maximise the benefit of your healing session.